To Helmet or Not to Helmet; that is the Question. 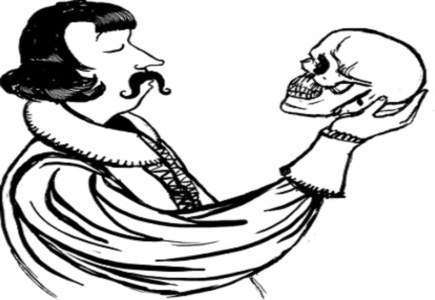 BikeCommuters.com > advocacy > To Helmet or Not to Helmet; that is the Question. Actually, it’s not that simple. The issue of bicycle helmet use and practice is complex. That probably explains why no one agrees on it and also why we will argue about this until the end of time. 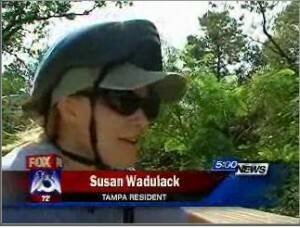 Admittedly, I am a bicycle helmet advocate. I use one myself. As a physician, I see many head injuries from bicycle accidents; many without helmets, some with. And as I researched for this article, I started appreciating the complexities of bicycle helmet use. What follows is an overview of the main points of contention that I have encountered in my readings. It is neither an argument for or against helmets. As a free thinking adult, you must decide for yourself, unless you live in a helmet-mandatory region. From a theoretical standpoint, helmets make sense. Much like an airbag for your head, a helmet reduces the extent of deceleration that your head and brain experience when an impact occurs. The lower the magnitude of acceleration (or deceleration), the lower the force experienced, meaning less injury. There are standards for designing helmets, which are met through testing. These include drop tests involving blunt impact as well as penetration tests with sharp objects. These tests are often performed at different temperatures, in different moisture conditions etc, in an attempt to simulate reality. But of course, these are simulations. 5. What parts of the body gets injured in the accident (a helmet is not going to protect the cyclist from chest or abdominal trauma). These are just some of the issues that can make a huge difference when we are considering the question of whether or not bicycle helmets translate into real-world benefit from head injury. As a thought experiment, let’s consider two worlds, A and B, both in which everyone correctly wore new helmets and were 100% compliant with their use. However, in world A, 90% of bicycle accidents involved collisions with 18-wheelers travelling an average of 80 MPH. I can almost guarantee you that a bicycle helmet will make zero difference in preventing head injuries and fatality; with or without a helmet, chances are you will have a devastating head injury if you are involved in such an accident. Compare that to world B where there are no motorized vehicles, the roads are soft and cushioned, and no one rode above 8mph. Helmets would probably make minimal difference in this world as well; with or without a helmet, chances are you will have no head injury if you are involved in an accident. Somewhere in between these two extremes is a “sweet spot” where helmet use makes a significant difference in preventing head injury. Where that sweet spot lies on the spectrum of bicycle accident severity remains elusive. So on that note, can we definitively prove or disprove that wearing helmets prevents significant head injury in the world we live in today? The short answer is “probably not, and probably never.” Why? Because we cannot run randomized controlled trials (RCTs) to assess whether or not helmets can statistically significantly lower head injury rates. Briefly, a RCT is an experiment commonly used in assessing new interventions (e.g. medications) to treat specific diseases. Basically, people with a certain disease are randomly assigned to one of 2 groups: one group that takes the new medicine, and one group that gets a “control” treatment or placebo. At the end of the trial, the outcomes are assessed, i.e. how many in each group are cured. Statistics are then run to see whether or not the new medicine significantly cures more people than the placebo. To run a RCT on bicycle helmets would be unethical. [i] Such a trial would involve randomly assigning people into two groups, one with helmets, one without, then making these people ride their bicycles into planned collisions. Outcomes would then be assessed, i.e. how many in each group develop head injury, how many end up in comas, how many people end up dead. Instead of RCTs, what we have are case-controlled studies (a type of retrospective study). Basically, the study looks at cases (people with head injuries following bicycle accidents) and controls (people without head injuries following bicycle accidents). The cases and controls are then compared based on the exposure, in this case, helmet use. The study then calculates an odds ratio comparing the odds that a helmeted rider ends up as a case versus a control. It is important to note that such a study can only suggest causality and never prove it. On this note, a recent Cochrane review [ii] found 5 well designed case-control studies and analyzed the data from these 5 studies. They found that helmets provide a 63 to 88% reduction in the odds of head, brain, and severe brain injury for all ages of bicyclists. Helmets provided equal levels of protection for crashes involving motor vehicles (69%) and crashes from all other causes (68%). Injuries to the upper and mid facial areas were reduced 65%. The main problem with retrospective studies is that an innumerable number of confounding factors can mess with the data, which is why these studies can never prove. For example, one confounding factor might be that people who wear helmets just tend to be more careful and less reckless compared to those who chose not to wear helmets. Therefore, by being more careful, the helmet wearers may have been less prone to accidents in general, or at least less prone to accidents that required a trip to the ER. Currently, mandatory helmet laws are enacted for people of all ages in Australia, New Zealand, Finland, several states in the U.S [iii]., and Canada, while the Netherlands only enforces a helmet law for competitive cyclists [iv]. It is the debate over these laws that is particularly engaging because it not only involves the argument of the utility of the helmet itself but also of the encroachment on freedom and liberty. In a 2012 editorial in the Journal of Medical Ethics, Hooper and Spicer[vii], two authors from the UK, argue against the idea of a mandatory helmet law in the UK. Salient points in their article include their cited figure that overall bicycle related death and injury in the UK in 2008 made up a small fraction of the total number of bicycle related casualties (104 deaths and 2606 injuries out of 17,064 reported cycling accidents). As such, a nationwide mandatory helmet law might end up costing more to implement than would benefit the UK public at large. Another point that Hooper and Spicer bring up is whether or not a mandatory helmet law actually deters people from cycling, whether due to the financial burden of having to purchase an additional piece of equipment, or the sheer inconvenience of having to wear it before each ride. They mention this point in counter to a 2008 Cochrane review, [viii] which found that mandatory helmet legislation did increase the use of cycle helmets and decrease the head injury rate after implementation. Hooper and Spicer argue that the studies included in this Cochrane review did not look at the total number of cyclists on the road after the mandatory bicycle law was implemented. [ix] Indeed it is conceivable that helmet laws may in fact reduce the total number of cyclists on the road, thereby decreasing the overall frequency of bicycling accidents. This is a point that the Cochrane review article also concedes. Interestingly, a “safety in numbers” trend has also been shown such that the injury rates for each cyclist in a given area is lower when there are more cyclists. [xi] This might be because with more cyclists on the road, drivers will be more accustomed to driving safely with cyclists. So decreasing the number of cyclists on the road, even if because of a mandatory helmet law, might end up hurting us in the long run. The effects of helmets may not just be physical, but also psychological. It has been proposed that drivers may be more cavalier in their driving habits when they drive around helmeted cyclists[xii], one explanation being the faulty logic that a helmeted cyclist is more protected, therefore drivers don’t have to be as careful around them. On the flipside, a cyclist might actually feel that with a helmet on, he/ she is more protected and so is more prone to cavalier cycling habits [xiii]. Age: younger cyclists had a higher probability of lower injury severity. At age 40 years or older, riders had a higher proportion of higher severity injuries, while elderly cyclists had a spike in high severity injuries and fatalities. My take on this is that the older you get, the less hits your body can take. Intoxication: The study looked at four categories of riders: i. Sober with helmet, ii. Sober without helmet, iii. Drunk with helmet, iv. Drunk without helmet. They found that sober people wearing helmets had 7-10% lower association of severe injuries and fatalities compared to sober people without helmets. Interestingly, compared to sober riders without helmets, drunk helmeted riders had 60% increased odds of death, while drunk riders without helmets had a 457% increased association of death. Collision partner: In decreasing order of injury severity, collisions with trucks were associated with greatest injury severity, followed by cars, followed by mopeds and other cyclists. Interestingly, drunk drivers were not significantly associated with increased cyclist injury severity possibly because there were so few cases. Movement conflicts (Note that people drive on the right side in Denmark): In decreasing order of injury severity, collisions involving cyclist going straight and the collision partner turning left had the highest injury severity, followed by both parties going straight, followed by cyclist going straight and collision partner turning right, followed by cyclist moving straight and collision partner not moving. Infrastructure: Higher speed limits were associated with higher injury severity. Bike lanes were associated with decreased cyclist fatalities, but interestingly were not associated with decreased minor or severe injuries. Multi-lane roads were associated with 10-15% increased association of severe injuries and fatalities compared to single-lane roads. Environment: Slippery roads were associated with a 21% increase association with light cyclist injuries and a 48% increase in cyclist fatalities compared to dry roads. Darkness had a 10–13% lower association with severe and fatal cyclist injuries, interestingly enough. No significant difference was found between the effect of darkness and artificial illumination. 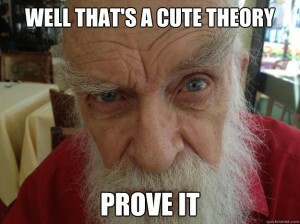 I haven’t given you any proof of anything. But I would still recommend a helmet. They can be pretty inexpensive; and even the most expensive ones for me have costed $90 each. I usually keep a helmet for a good 3-4 years, by which point one of the straps breaks, translating to $20-$30 a year. Not unreasonable. For me, I have already formed a habit of it, so it’s easy to continue wearing one. If you live in an area without a mandatory helmet law, then it’s your decision. In terms of other factors, try to ride in quiet areas with low speed limits if you are starting out and unsure of yourself on the saddle. 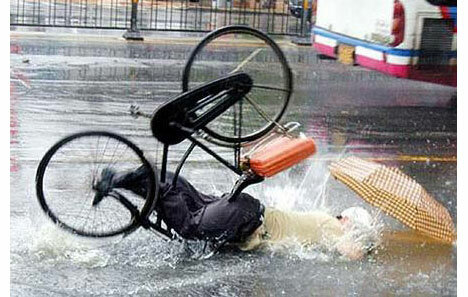 Be wary when riding in wet and slippery conditions. Be wary of cars turning left into you as you ride through intersections (for right sided driving areas). Oh yeah… and don’t ride drunk. [i] Yilmaz et al. Comparison of the serious injury pattern of adult bicyclists, between South-West Netherlands and the State of Victoria, Australia 2001–2009. Injury, Int. J. Care Injured 44 (2013) 848–854. [ii] Thompson et al. Helmets for preventing head and facial injuries in bicyclists (Review). Cochrane Database of Systematic Reviews 1999, Issue 4. Art. No. : CD001855. DOI: 10.1002/14651858.CD001855. [iv] Yilmaz et al. Comparison of the serious injury pattern of adult bicyclists, between South-West Netherlands and the State of Victoria, Australia 2001–2009. Injury, Int. J. Care Injured 44 (2013) 848–854. [v] British Medical Association. Promoting Safe Cycling. London: British Medical Association, 2010. [vi] Spicer et al. Liberty or death; don’t tread on me. J Med Ethics 2012;38:338e341. doi:10.1136/medethics-2011. [vii] Spicer et al. Liberty or death; don’t tread on me. J Med Ethics 2012;38:338e341. doi:10.1136/medethics-2011. [viii] Macpherson A, Spinks A. Bicycle helmet legislation for the uptake of helmet use and prevention of head injuries (Review). Cochrane Database Syst Rev 2008;(3): CD005401. [ix] Macpherson A, Spinks A. Bicycle helmet legislation for the uptake of helmet use and prevention of head injuries (Review). Cochrane Database Syst Rev 2008;(3): CD005401. [xi] Jacobsen PL. Safety in numbers: more walkers and bicyclists, safer walking and bicycling. Inj Prev 2003;9:205-9. [xii] Spicer et al. Liberty or death; don’t tread on me. J Med Ethics 2012;38:338e341. doi:10.1136/medethics-2011. [xiii] Hilman M. Cycle Helmets: The Case for and Against Them. London: Policy Studies Institute, 1993. [xiv] Sigal Kaplan, Konstantinos Vavatsoulas, Carlo Giacomo Prato Aggravating andmitigating factors associated with cyclist injury severity in Denmark. Journal of Safety Research 50 (2014) 75–82. Well written article. It is helpful to see so much research and evidence in one place. I’ve never heard the term “collision partner” before, and it highlights the relationship between each party in a crash. We use the term “accident” as a way to divert blame, but this term avoids that judgement. One thing that makes me more likely to wear a helmet is it’s utility as a platform for mounting additional lights when needed. I’m of the persuasion that lights, bright ones, are a necessary part of bike commuting. I have two bright headlights and they’re normally both mounted on the handlebar. Most of the time, even during dark winter nights, that’s enough for me to feel safe. However, if there are deep snow piles along the roads, it can be difficult to be seen even with with bright blinky lights. Cars have a similar problem, actually; depending on the height of the snow piles, some cars may not be visible. My solution was to mount a headlight and rear light to the helmet and wear it whenever the snow piles up (of if I happen to ride during a snowstorm). Now my lights can be seen above the snow piles and I feel safer out there. Dan, this was also the first time I encountered that term “collision partner.” I thought it was a very diplomatic way of describing the relationship. Morlamweb. Good point on helmets being a platform for equipment. I used to have a helmet mounted mirror for a while that worked well. I will try mounting lights on my helmet soon. The added height makes sense in making you more visible. I can also imagine that having the front lights mounted on the helmet makes for easier and more directable illumination. Plus if you have to dismount to change a tire or what have you, you can just keep your helmet on and use like a headlamp. Andrew, good points about helmet-mounted lights. Yes, they are easy to direct and use as a general-purpose headlamp when needed. I’ve used mine to check the mailbox at the end of the day following my commute home or when doing electrical work inside when the lights have to be switched off. I’ve semi-permanently attached a rear light to the helmet with zipties and a headlight mount to the front of the helmet. Since all three of my headlights are from the same family, I can swap them between handlebars and helmet easily, as needed. I’ve also attached some bright reflective tape to the front, sides, and back of the helmet (silver/white for the front and sides, red for the rear). I used the same tape on the bike frame, trunk bag, and rear luggage rack to great effect. Something not discussed in the original post is the helmet’s use as a passive safety device. It’s not just for protecting your head in a crash. Helmets also can make you more visible without the use of reflective clothing. It starts with the helmet color: white and silver are better, under the same theory that white/silver cars are more visible at night compared to darker-colored cars. Some helmets now have reflective bits built in, though I haven’t seen any of them in use at night, so I can’t say how effective they are (nor anything about their availability). Or you can apply reflective material to helmets of any color. Visibility, as we all know, is a big part of being safe on a bike, and where you have to ride with traffic, a very visible helmet will help make drivers aware of your presence. 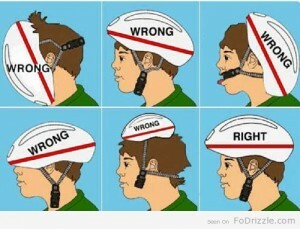 Wow, I had no idea that there could be so many ways of wearing the helmet wrong! This is a pretty insightful article man.. Emailed it to all biker friends!